when it comes to lips in the spring, I favor corals, oranges, and pinks in lighter formulations, such as a gloss, sheer or creamy lipstick, or some hybrid of the two. these are my current favorite lip products this season. if I had to choose my absolute favorite, it would be a toss up between the two ysl offerings. the sheer volupte is so beautifully sheer, giving just the slightest hint of color while the gloss is just perfect – not too sticky and feels really nice on the lips. plus, look at that packaging! 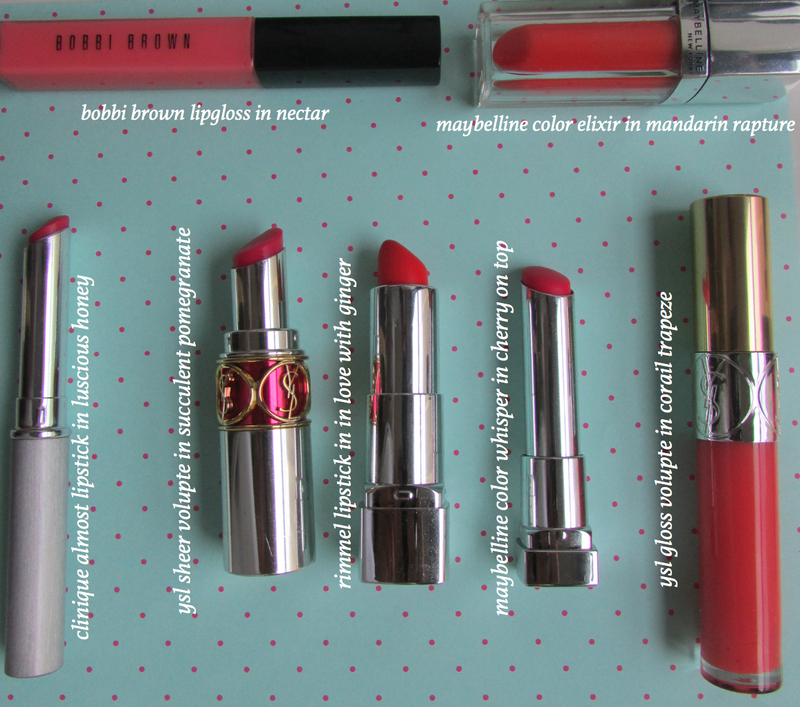 a special shout out also to maybelline for offering awesome lip products at the drugstore. I’m still loving their color whispers from years past and the more recent color elixirs. 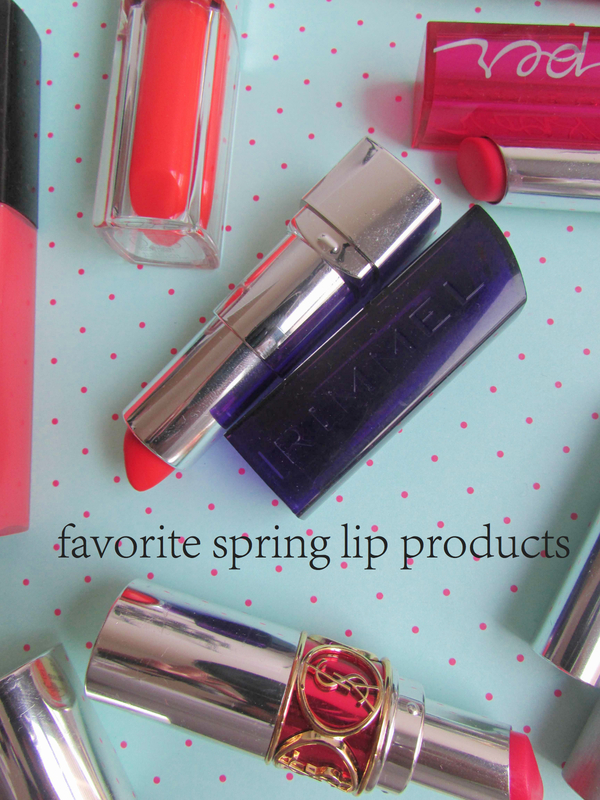 what are your favorite spring lip colors?